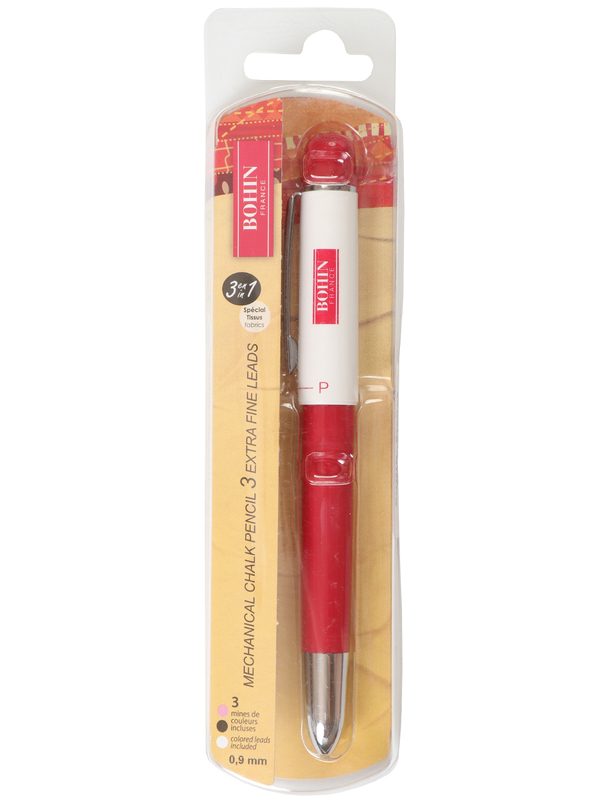 We love the convenience of this mechanical pencil and you will, too! 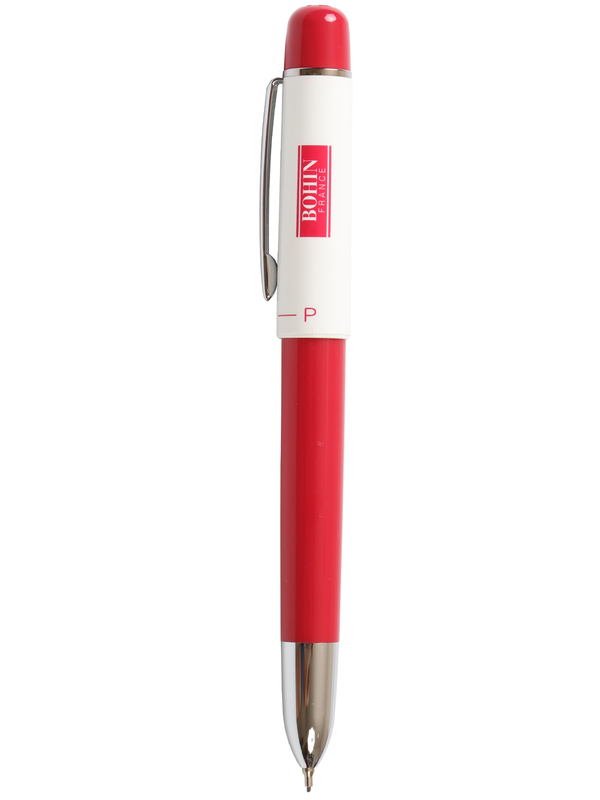 With THREE colors of leads in one pen, you can mark white, gray, or pink lines with just a twist of the pen's top. 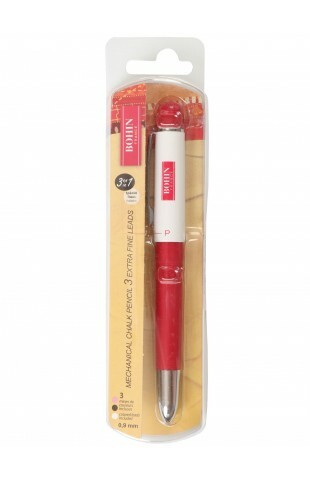 The pen features extra-fine lead for marking on fabrics with colorants that cannot penetrate into the fabric. 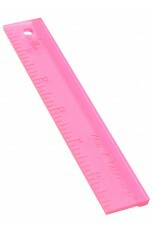 Strong, ceramic lead refills are available in pink, grey, yellow, green, and white. Markings are water soluble and can be washed out or erased with any fabric eraser. 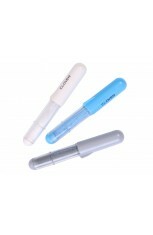 A long-lasting eraser is included on the top of the pen with a removable top to keep it in place. 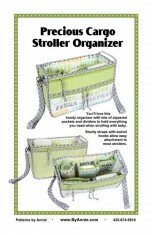 Perfect for patchwork, quilting, garment, clothing, sewing, and more! This is my marker of choice for marking lines on the bellowed dividers for the Catch All Caddy and Precious Cargo Stroll Organizer. I can mark the lines on the back with grey and they won't rub off before I get to them. . . and I can use two different colors on front (I like pink and white) so that I can easily differentiate the lines that are to be stitched to make the bellows from those that aren't stitched until the divider is attached to the bag. Easy!